Kathleen Quintarelli is a familiar sight to her neighbors as she sets out on her daily early morning hike, with the sun just starting to appear on the horizon through the morning mist. In the peaceful quiet of dawn, she focuses to energize herself for the coming day. For her, there is no better way to start her day. For those who know Kathleen, this daily ritual says a lot about her dedication and drive, both professionally and personally. Kathleen will first to point to her close-knit family as the source of her positive energy and determination. Having a father who served as an Army officer, she spent her teenage years in Germany. That experience instilled in her a lifelong welcoming of whatever new opportunities life would bring. Having settled with her family over 35 years ago in Fairfax County, Kathleen then studied at University of Virginia, earning an accounting degree, calling this area home ever since. She enjoys gathering with her sisters, nieces and nephews for Sunday dinners. Kathleen believes that solid foundation rooted in family has always given her the confidence and strength to rise successfully to any challenge that comes her way. 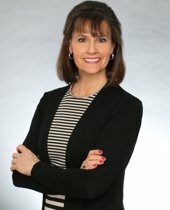 One of Kathleen’s greatest satisfactions is rising to the challenge in her career as one of the Northern Virginia area’s leading real estate professionals. For almost three decades, she has been the local area expert clients turn to for their most important investment, their home. Kathleen’s reputation as someone you and your family can count on for complete dedication, top-quality service and integrity is well earned by years of experience and expertise. When it is time to buy or sell your home, Kathleen understands you want a true professional’s guidance, someone who knows the community and appreciates your needs. And that is why she is dedicated to being at your side every step of the way, ending in a successful transaction. For all your real estate needs, call Kathleen Quintarelli. She will rise to the challenge for you.